Bess is using Smore newsletters to spread the word online. Wallace Associates is a locally-owned career management and coaching firm, leveraging over 25 years of business expertise, to provide customized career transition / outplacement, executive coaching, and personal coaching services. Through our partnership with OI Global Partners, we can offer these services through over 200 locally-owned offices in more than 25 countries. • Our programs are results-driven, and success is defined as helping the downsized employee meet his or her career goals, not just find the "next job." • We offer access to proven resources, including OI SolutionsSM and the powerful co-managed Individual System, that together assist individuals through career changes. • Our philosophy of coaching is that it is not a one-time fix, but a key development tool to help leaders optimize their effectiveness. • The coaching process utilizes a range of appropriate assessments from a powerful suite of instruments, and integrates these into the coaching process. • All of our coaches receive ongoing certification training through the International Coach Federation (ICF) to ensure they provide the most current and relevant strategic coaching possible. • Our experience with personal coaching enables individuals to produce fulfilling results in their personal and professional lives. Chris Wallace, a recognized career strategist, has practiced in the field of human resources and career management for over 25 years. 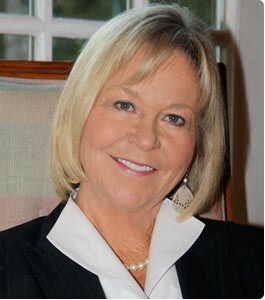 During her career, Chris has held management positions in human resources, recruiting, career management, coaching training, and teaching at the college level. From 2004-2010, Chris served as VP Consulting Services with Right Management. Prior to that Chris was President and CEO of Wallace Associates, Inc., a privately held career management and outplacement firm. During the six years she owned the business, she consulted with a variety of large and small corporations, providing outplacement and employee coaching services. Chris also served as the manager of the Wichita office of Drake Beam Morin, Inc. for nine years before establishing her own firm. While at DBM, she helped manage a career center for Boeing and Via Christi, offering career transition services to over 2,200 employees. Early in her career, Chris had ten years of experience in Human Resources, working for Pizza Hut, Inc. and NCR Corporation. She established the first college recruiting program at both organizations, and managed corporate recruiting departments during a period of record growth. A strong supporter of charitable, professional, and community activities throughout her career, Chris has served in leadership positions and volunteered with numerous organizations, including: International Coach Federation, OI Global Partners, Jr. League of Wichita, SHRM, The Wichita Chamber of Commerce, Home Technology Solutions, Jayhawk Round-Up, the International Association of Career Management Professionals, Rotary Club of East Wichita, and Kappa Kappa Gamma Alumnae Association. Chris has a Master's Degree in Counseling and a BS in Social Work, both from Kansas State University. She has also taken post-graduate courses in Mediation and Conflict Resolution. Summer of 2010, she attended an intensive program on executive coaching in Santa Barbara and is currently working on the Master Certified Coach (MCC) designation from the College of Executive Coaching. • Provided change management design and delivery for the merger of two entire health care organizations. • Established and managed two career centers, offering outplacement services to hundreds of down-sized employees. • Coached executives on teamwork and leadership to further develop high potential employees.